They don’t call her a “blushing bride” for nothing. Makeup has the power to enhance a woman’s best features bringing forth her natural radiance and beauty. As a brow and makeup expert for nearly a decade, I’ve had the chance to work on hundreds of clients, transforming their looks to suit a myriad of occasions. Throughout the years, I’ve learned that the key to a happy, beautiful bride is striking the balance between her features, the lighting, and the type of makeup applied. When preparing for your wedding day, remember that there are certain factors that will play an important part in the type of makeup choices you make and why. Whether it’s a morning affair timed with the glistening gold rays of the rising sun; a midday union set to keep everyone awake, energized, and inspired; or an extravagant evening ceremony equipped with dark mystery, colorful lights and a tapestry of stars; the options are endless, as are your choices for the perfect makeup. Each bride is unique. From her outward appearance to her inner tastes, there is an ideal makeup for everyone. It’s crucial to have fun and experiment with new colors and styles to uncover the look you love. If you’re a soon-to-be bride trying to decide on the right bridal makeup for your big day, there are a few important details to think about before you make your selection. 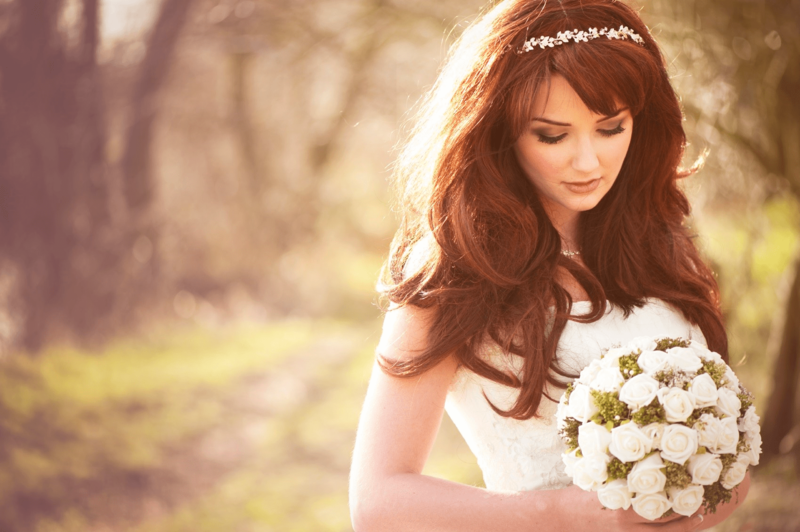 One of the most helpful ways to determine your best bridal makeup is based on the time of day of your wedding. Cosmetics can make all of your wildest beauty dreams come true, however, it’s crucial to choose a look that coordinates with the rest of your details and leaves you as the most stunning centerpiece of your event. Early weddings call for natural, refreshed makeup looks that match the beautiful, soft light of day. To keep things subtle, yet romantic, choose a look that leaves the skin vibrant and clear, the eyes bright and awake, and the lips soft, kissable, and romantic. Lighter shades softly blended on the eyes and soft pinks on the lips can bring out your natural beauty without drawing attention solely to the makeup. For clear skin, remember to cleanse, tone, and moisturize twice per day, year-round. Clear skin makes for a beautiful canvas on morning brides. Midday nuptials are perfect for adding a bit more contrast to the skin. If the ceremony is taking place outdoors, remember that the sun is at its highest point, which can create shadows under the eyes. Be sure to have your makeup artist brighten areas where shadows will appear, and try not to create additional darkness on the face. Stick to matte finishes and, if in direct sunlight, sunscreen is a must. You can also experiment with bolder eyes, lips, and blush, but leave the extreme shades for after sunset. Nighttime is perfect for maximum contrast, high drama makeup, and well-defined features. Evening brides can pull off more extreme colors on the eyes, lips, and cheeks, as well as mile-high lashes. Since your ceremony and reception will take place with indoor lighting, this is an event where you can have fun with more creative color combinations. Remember, for foundation and setting powder, avoid products with unnecessary sun protection, which can cause the camera flash to bounce off of your skin, making you appear washed out in photos. Choosing your bridal makeup is exciting. In the many years I’ve worked in the beauty industry, the brides who’ve felt the most confident about how they looked were the ones who came in for trials, where we tested out different colors, textures, and styles of makeup. I always try to consult with my brides prior to the wedding day so they can feel as relaxed as possible, allowing us to fully enjoy putting together the final look for the celebration. I also provide my brides with beautiful brows, so the entire face is framed properly from I-Do to Goodnight! 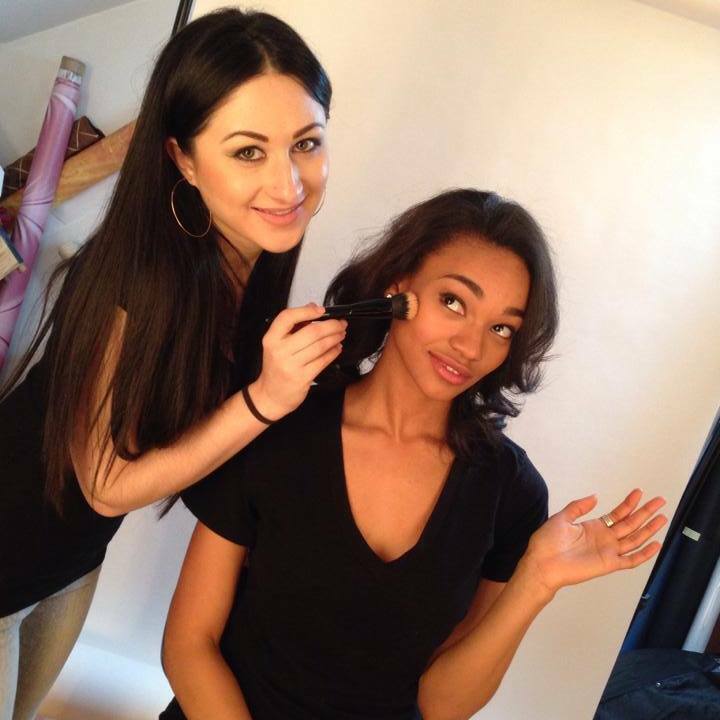 Sara Kosmyna is a sought after brow expert and makeup artist whose client list includes actors, models, television stars, fashion designers, public relations professionals, and web hosts from Los Angeles, New Jersey, and New York. She has worked among those on major networks including Bravo, Style, and VH1. She founded Bombshell Beauty to offer everyday women and young girls the opportunity to learn professional makeup tips and applications. Hailed as a “brow master” she has worked with numerous brides to achieve a truly customized shape months in advance of their weddings. She has been interviewed on the radio and online about her expert brow tips and professional makeup artistry. To schedule an appointment, email Sara@SaraKosmyna.com.